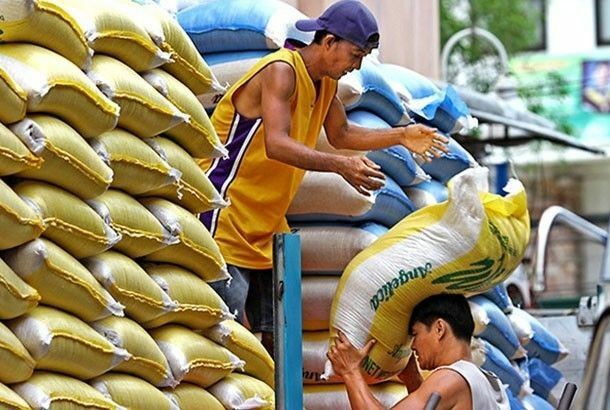 MANILA, Philippines — The country’s aspiration for full rice self-sufficiency will never be successful as several constraints will hinder the Philippines from reaching this goal and it can only settle for 95 percent at the most, according to a former agrarian reform secretary. “Not just in this administration, over the last 30 years, producing rice has been the goal and they did not give a chance for high value agriculture to succeed,” Dar said. “If being rice-centric will still be our model and the goal is still to achieve 100 percent (rice self-sufficiency) then we will have more failures in the future. We need to have this mindset of agri-industrial system, that is the way forward,” he said. Because of this, the Philippines could only achieve 95 percent self-sufficiency at the maximum. The country’s current rate is now at 93 percent. “We can possibly elevate, but we cannot go 100 percent at any cost because it is better to produce more high-value agriculture to create more wealth to buy the deficiency,” Dar said. “Ensuring food sufficiency will always be an ambition and aspiration, but that will never happen because of several constraints. We need to further improve our productivity, much more our competitiveness, to at least equate to 95 percent,” he said. Among the agricultural challenges seen hindering the sector include land degradation, impact of climate change, population growth, and the aging farmers. However, Dar is still optimistic that the 95 percent rate is achievable in the last three years of the administration provided there will be proper planning, partnership, implementation and governance. “Sustaining rice productivity while liberalizing imports to make food more available and to have less inflation can actually go together,” Dar said. Given the recently signed Rice Tariffication Law, Dar said it could be an opportunity to further diversify the agriculture sector and not just be limited to the usual crops such as rice, corn and coconut. “Even DA now, their mindset is only in production, they are still blinded and yet to change it to agri-business which is supposed to be the right approach. It is a new mindset that needs to cascade and this can be championed by government because this is the way forward,” he said. Further, Dar urged more investment and fast tracking of the development of the country’s irrigation systems as there are still some one million hectares to be given proper irrigation support. “At the rate government is investing, it will take 20 years, why not accelerate and invest 100,000 hectares every year for the next 10 years under a Build Build Build approach inviting the private sector to come in and be under the Build-Operate-Transfer scheme,” Dar said. “Irrigation is a major key in sustaining high levels of productivity, if we do not have water, we will have a hard time,” he said.